The 2015 report takes a long view of governance change in the European banking sector, identifying the drivers for change and the issues that still need to be tackled. Some of these issues, like culture and reputation, are hard to crack. They will require a lot of work and out-of-the-box thinking by bank boards. In short, this is still a “work in progress”. 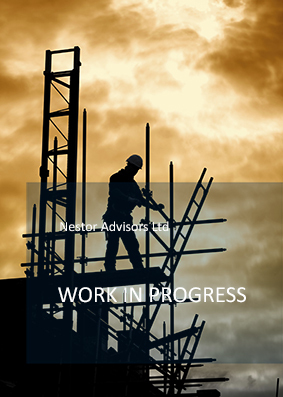 To obtain a complimentary copy of the report, please email info@nestoradvisors.com and provide your name, position, company, telephone and email address. Nestor Advisors submitted a response to the BCBS consultative document on Corporate Governance Principles for Banks on 8 January 2015. We found that the amendments to the Principles effectively incorporate the post-crisis “lessons learned” on bank governance and reflect current trends among leading banking regulators. We especially appreciate the emphasis of the amendments on the increasing role of the supervisor, the importance of culture, the expanding role of the board in risk governance, and the additional focus on director suitability and management incentives. We also commented on what we consider to be the areas for improvement of the draft. In particular: Principles 1-3 on board responsibilities, qualification and structure; Principle 9 on compliance; Principle 10 on internal audit; and Principle 13 on the role of the supervisor. In our summary report of the governance of Europe’s 25 largest European banks we start from the premise that the “new normal” for the banks consists in more simplicity and frugality as well as a focus on risk. The Report looks at board profile and practices through the lens of performance and asks: do better performing banks have certain common board characteristics? Nestor Advisors finds that boards of the best performing banks are on average smaller and work harder while their members have fewer outside commitments. They and their chairmen have been there for a longer period than their worst performing peers. They pay their CEO, chairman and NEDs more and put their members to the ballot more often. There is of course a caveat: a number of practices ranging from gender diversity to executive and NED remuneration seem to be linked as much to national culture as they are to performance. 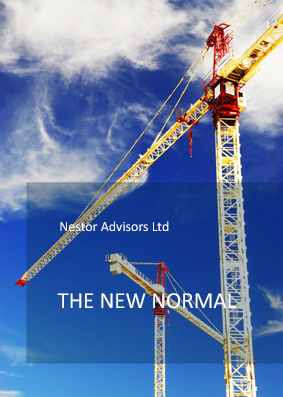 To obtain a complimentary copy of the report, please email info@nestoradvisors.com. In a nutshell, we found that very little has changed within US boards since before the crisis, with two-thirds of directors appointed prior to the crisis retaining their board membership. Whilst US boards are older and more entrenched, European boards are on average bigger. Board chairs in the nine US banks reviewed are also chief executives of their banks, whereas in Europe board chairs are non-executive directors, often with financial industry expertise. Overall, there are more executive board members and financial industry experts in European boards than in US boards, where industry knowledge is no more extensive than it was four years ago. Read the full research here. In the wake of the great financial flood of 2007-2008, there have been increased calls from governments, regulators, and the banking industry itself for the governance of banks to be fortified. This report examines what has changed in the governance of the top 25 European banks since 2007 and what is the outlook for bank governance given the direction of regulatory change. It also recommends areas of focus for boards and regulators going forward. 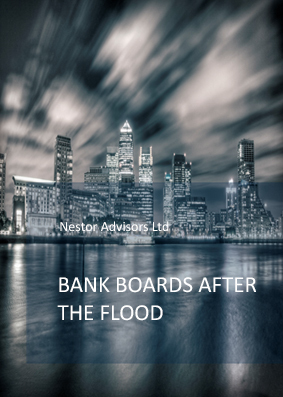 The ‘Introduction’ and ‘Executive Summary’ of ‘Bank Boards after the Flood’ can be downloaded here. 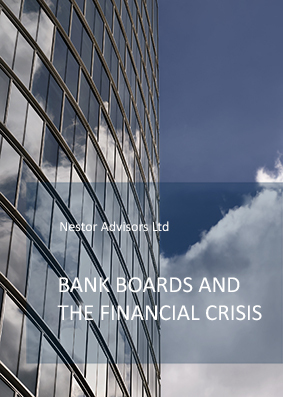 Nestor Advisors published “Bank Boards and the Financial Crisis” in 2009. 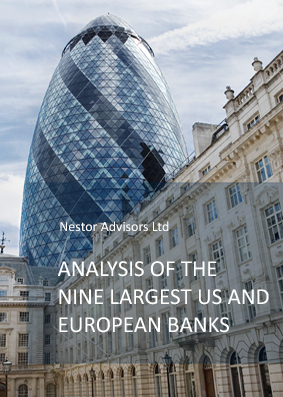 The report includes a wealth of information and findings on the 25 largest European banks. 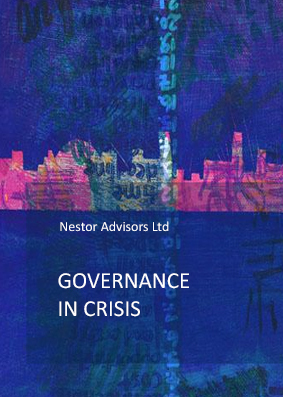 Stilpon Nestor, Nestor Advisors’ managing director and one of the authors of the report said: “While board organisational design could improve, the key failings of bank boards were not driven by structural governance deficiencies. They were due to the inability of most boards to see the forest for the trees. The solution is not to pile more control responsibility on boards as regulators have been doing over the last decade. In contrast, boards should be given more freedom to stand back from day-to-day pressure so that they can concentrate on the larger franchise issues. As regards the oversight of operational controls, bank regulators should engage more directly with executive management. In a strange twist of fate, the demise of light-touch regulation might actually facilitate bank board liberation. The ‘Introduction’ and ‘Executive Summary’ of ‘Bank Boards and the Financial Crisis’ can be downloaded here. Full printed copies of this study have sold out. The paper brings forth some interesting insights regarding board entrenchment, executive alignment with shareholders and the concentration of power in some of the “departed banks” such as Lehman Brothers and Bear Stearns. It identifies countervailing strengths in areas such as risk oversight among “survivors” such as Goldman Sachs and JP Morgan Chase. The full study can be accessed here. Earlier drafts of the study were used by the OECD in a recent policy paper and The Independent on Sunday in a 28/3/09 editorial.